Top automotive authority, AutoPacific has released the results of its 19th annual Vehicle Satisfaction Awards (VSAs). Towne Ford is proud to announce that Ford trucks swept the competition in both light-duty and heavy-duty pickup truck classes. 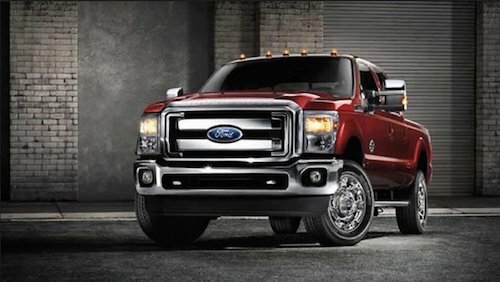 The 2015 Ford F-Series Super Duty earned high marks for vehicle satisfaction and outranked all other trucks in its class. The 2015 Ford F-150 not only won the award but earned the second-highest owner score ever recorded by AutoPacific and the highest rating ever awarded for a truck. The results for the 2015 (VSAs), are based on survey responses from over 66,000 owners of new 2015 model cars and light trucks. The survey measures owner satisfaction with separate attributes ranging from fuel economy and performance to interior styling and comfort. This year the winning VSA scores were 25 points higher than in 2014 indicating a greater level of satisfaction with all brands and models that received awards. Our Ford truck dealership near San Francisco, CA has a great selection of new 2015 Ford F-150 and F-Series Super Duty trucks in stock. If you are looking for a new truck, why not stop by and test-drive a winner?